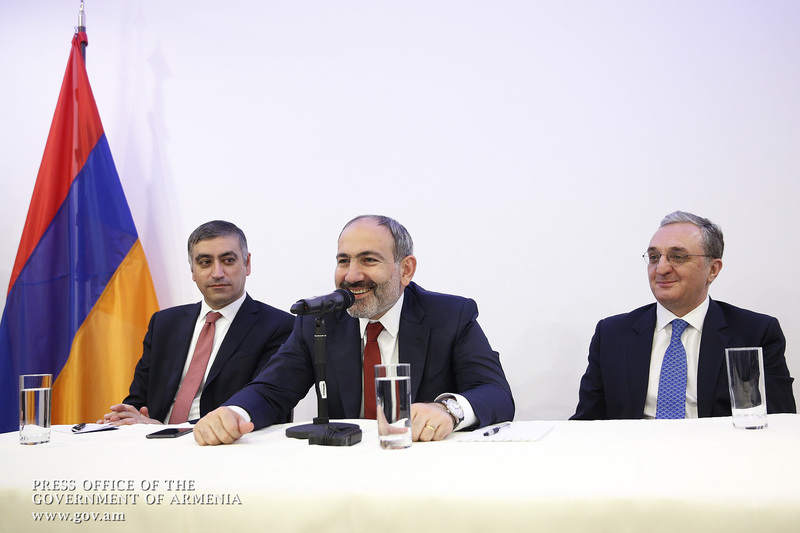 Prime Minister Nikol Pashinyan who is in Austria on a working visit today met with Armenian community representatives in Vienna. 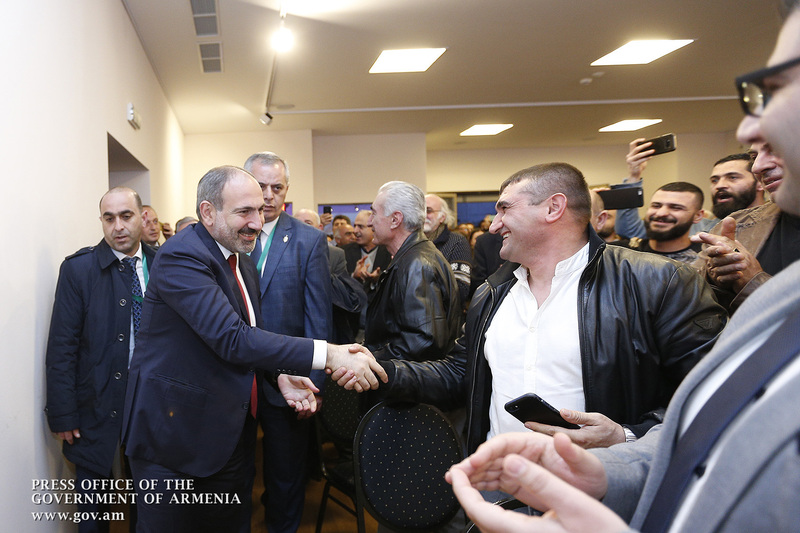 The Prime Minister was welcomed with a cordial and festive applause. 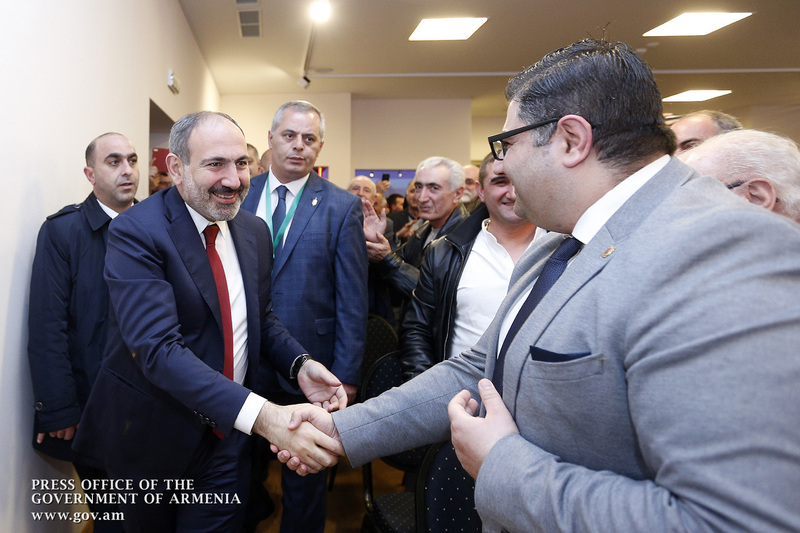 To begin with, the Premier pointed out that the contacts with Armenian community representatives held during his working and official visits are among the most anticipated events for him. 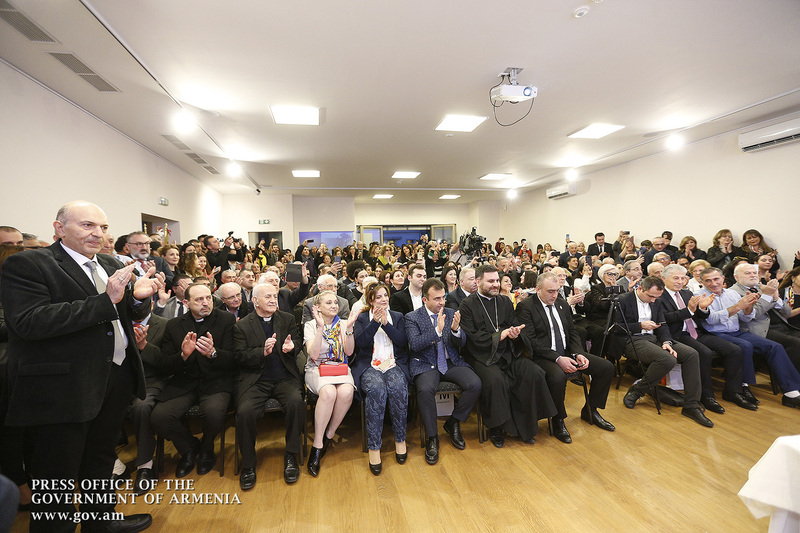 “The changes taking place in Armenia are characterized by an atmosphere of love and cohesion. 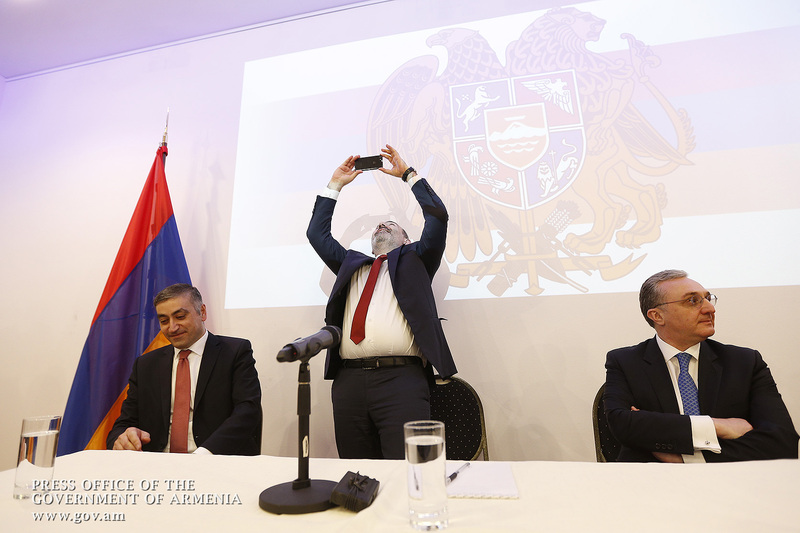 It is important to record the current status of the Republic of Armenia. 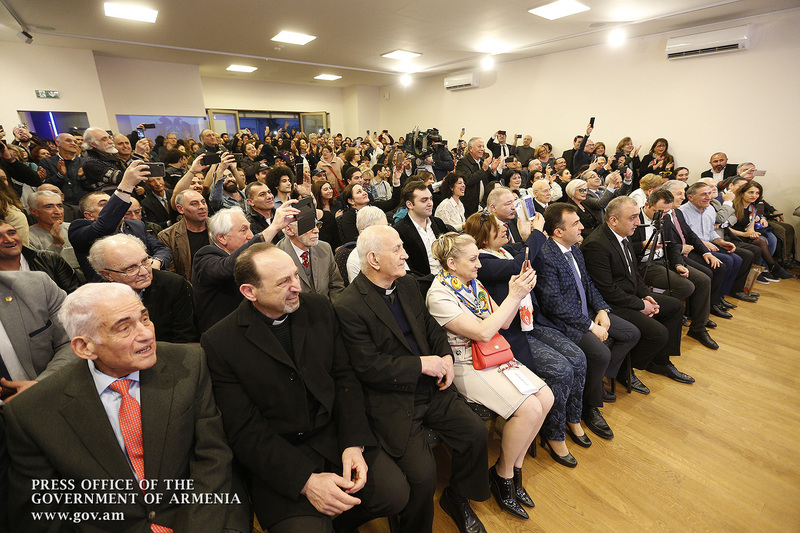 Today Armenia is a truly democratic state where people have real power. 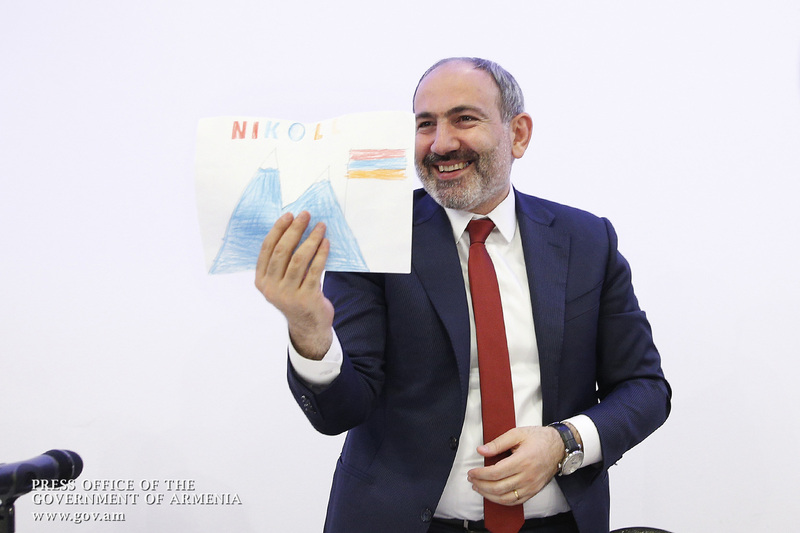 It is a great honor for me to be in this position not because I am Prime Minister, but exclusively because I feel that I am the Prime Minister of the Republic of Armenia just because the people has wished so. This is what matters most to me. We used to discuss the issue of government’s legitimacy, and today I feel the importance of that assertion in my work, in international relations. 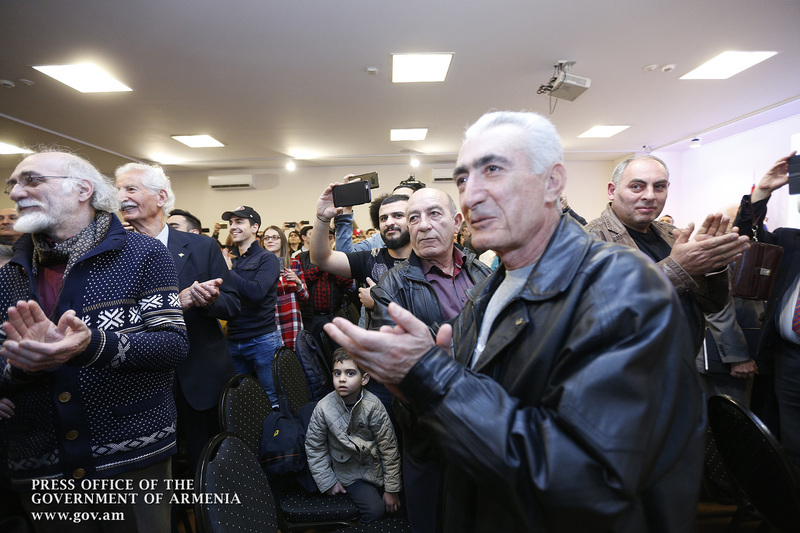 There is no doubt that the recent changes, the popular revolution will bring us real economic and political victories. The most important victory has already taken place. 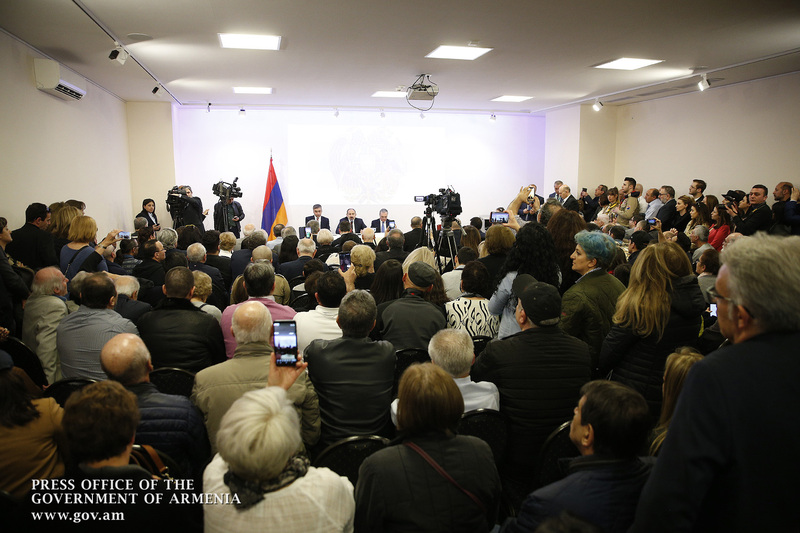 It is the reinstatement of people’s power in the Republic of Armenia. The emerging economic indicators, the estimates that the international organizations are making about our economic development evidence that we will succeed together in the process of economic revolution. But what matters most is the change in people’s eyes; the revolution that is reflected in our eyes. 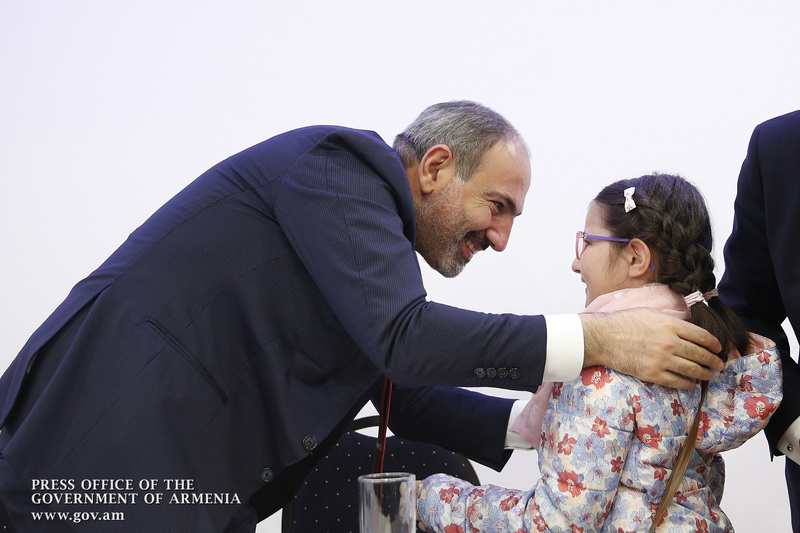 Today we can witness mutual trust and love, mutual respect and, of course, willingness to be together with each other, take responsibility for the future of our homeland,” Nikol Pashinyan said. Then the Prime Minister touched upon the outcome of his talks with Azerbaijani President Ilham Aliyev in Vienna. “I understand that our meeting is today’s highlight. I positively assess our meeting with President Aliyev. 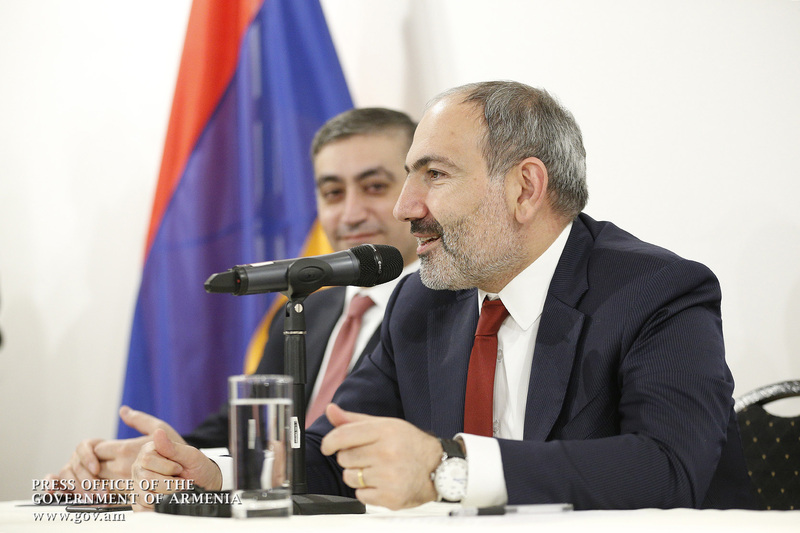 I cannot say that there has been a breakthrough in the negotiation process, a revolution, a turning point or event, but it is important that a process has started, which allows us to speak about our agenda, ideas, concerns and talk about the process I referred to in Stepanakert and later on during my press conference. 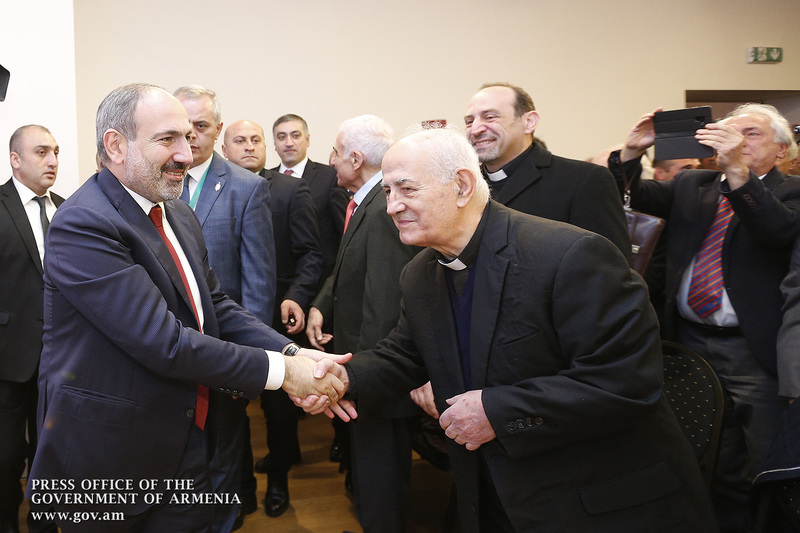 I hope that either President Aliyev will make a positive assessment of the meeting. Here, I would like to touch upon a nuance. By saying that I positively assess the outcome of our meeting, I do not mean that someone has won or lost at all. As a matter of fact, meetings used to be held in that very logic until now. 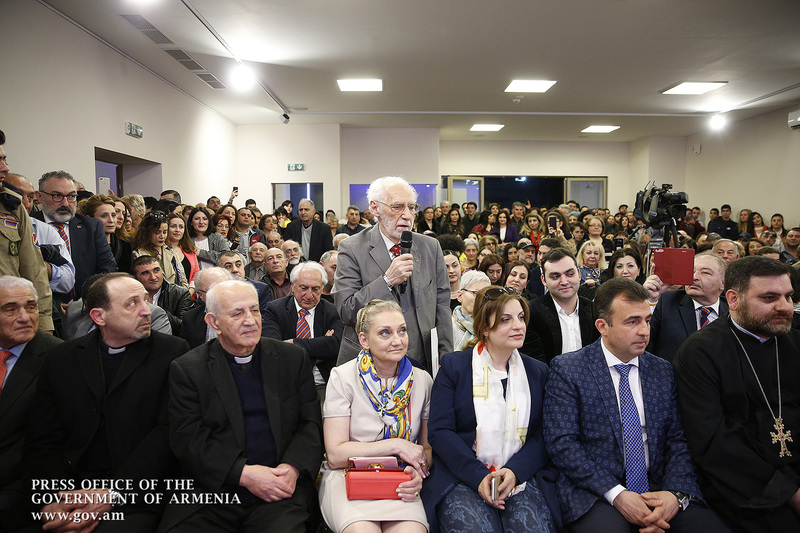 The point in today’s talks was not to go out and declare about one’s victory. This was just the case during discussions in Dushanbe, Saint Petersburg, and Davos. A dialogue is underway, and each side has its own ideas. The conflict is deeply rooted, and we need to state that we do not deal with a simple situation. This is a very serious problem, and I find it important to shape an atmosphere where we can voice and talk about each other’s concerns. We should have the understanding that there is nothing harmful in talking to each other. The point is whether we can stabilize the situation at the line of contact, whether we can ensure that people in the border villages may live a normal life without any fear that snipers can kill them in the exercise of farming activities. We must understand whether we can reflect on humanitarian aspects. 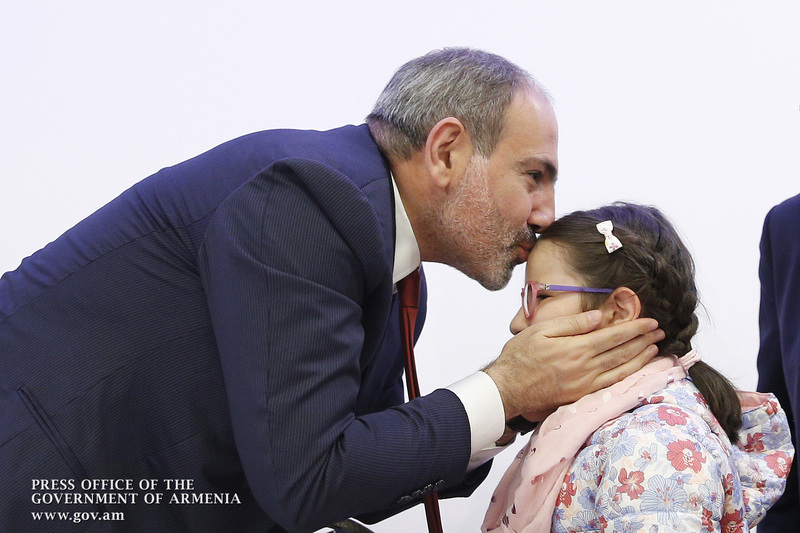 There are civilians living on both sides, and we should understand whether we can try to organize meetings between individual families so that people could communicate with one another, or whether we can task our foreign ministers to follow up on the talks in order to understand the point of the problem. But it is also clear that each side has its own position in which they are deeply convinced. Nevertheless, we can also try to speak about the opponent’s position in order to understand the rationale behind the opposite position. In this sense, I consider this meeting quite positive. 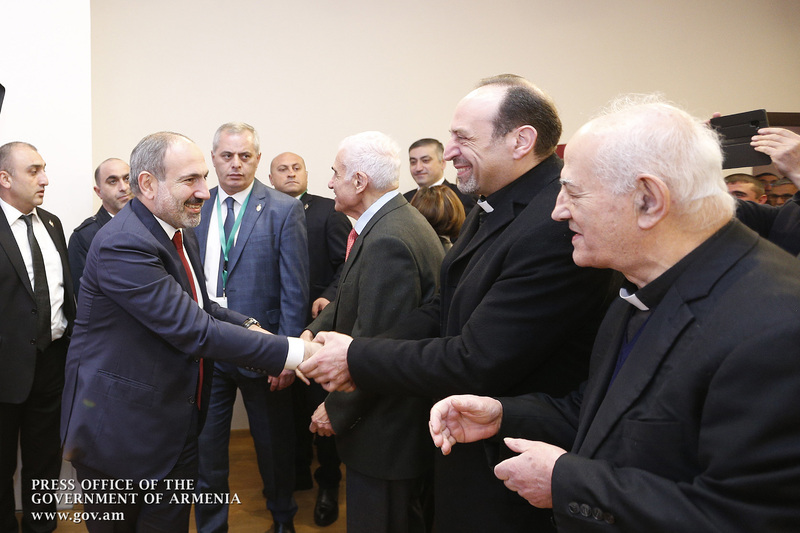 Frankly speaking, I still do not know President Aliyev’s opinion of the talks, but I do hope that at least there will be no visible discrepancies in our assessments,” Pashinyan said. 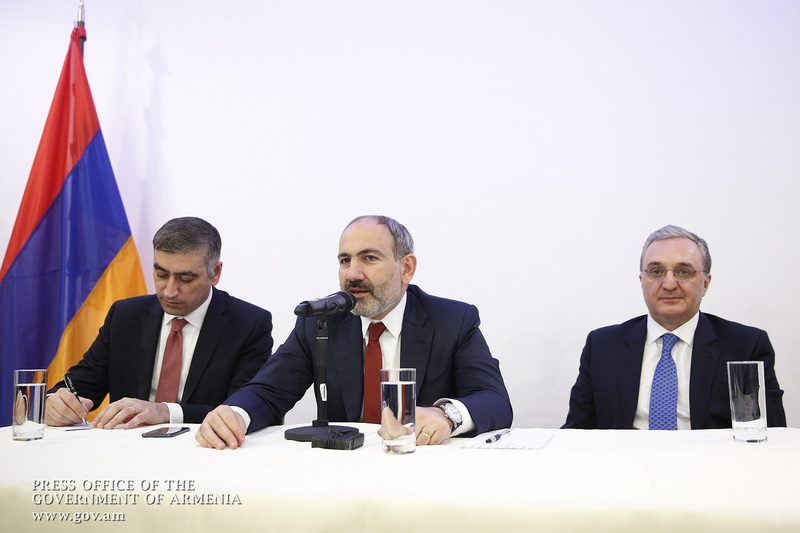 In conclusion, Nikol Pashinyan answered several questions of interest to the Armenian community in Vienna.